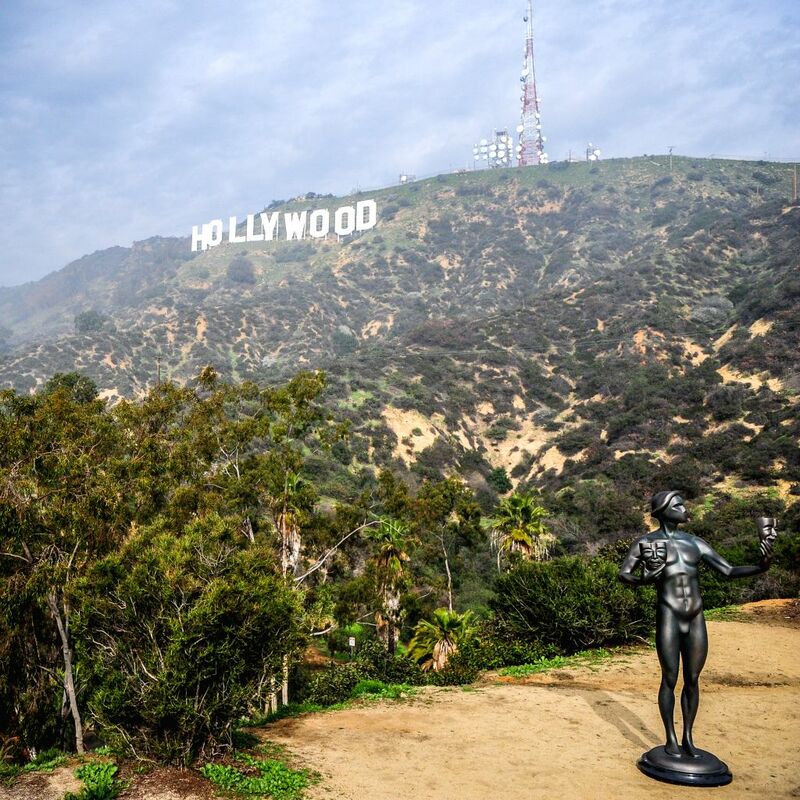 LOS ANGELES, Jan. 21, 2015 - The Screen Actors Guild statue is seen in front of the Hollywood sign in Los Angeles, the United States, Jan. 20, 2015. 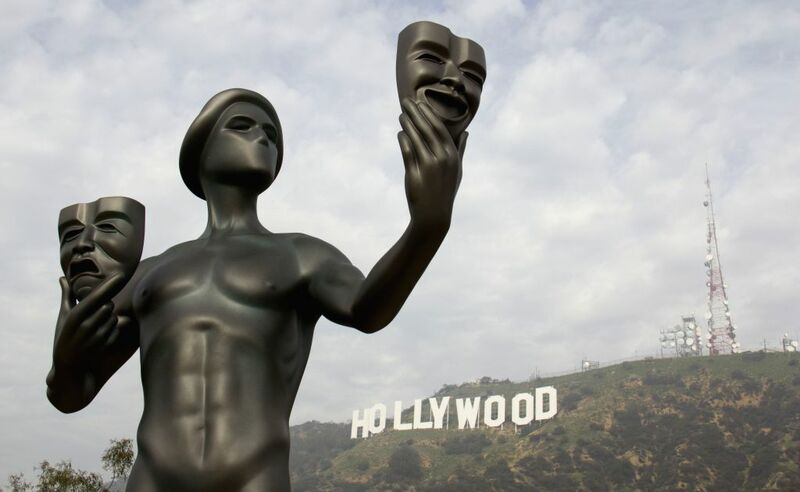 The SAG awards will be presented on Jan. 25. (L-R) Screen Actors Guild (SAG) Awards executive producer Kathy Connell, actors Jason George, Julie Lake and SAG Awards Vice Chair Daryl Anderson pose for photos next to a Screen Actors Guild statue in front of the Hollywood sign in Los Angeles, the United States, Jan. 20, 2015.